What Are My Options For Braces In Weatherford? Do you have a crooked smile? 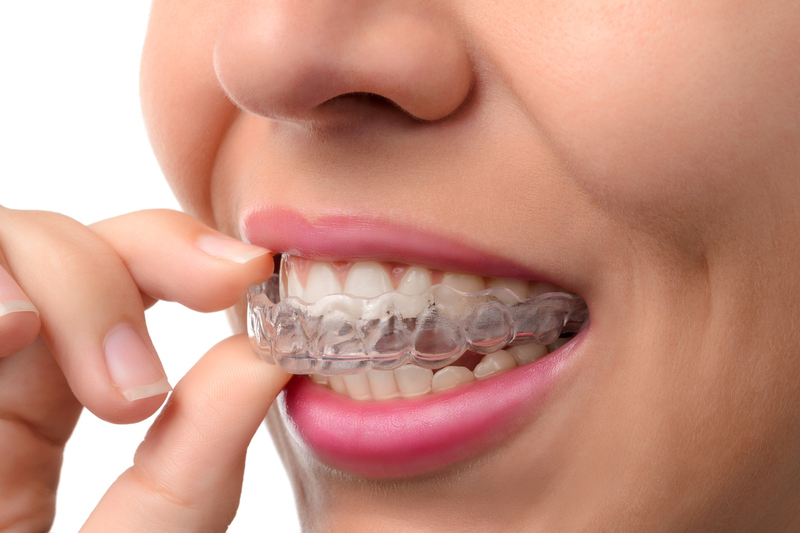 Braces from Weatherford dentist, Dr. Deborah Romack, treat more than your appearance. Crooked smiles can mean oral health problems. They should be corrected for the strongest teeth and gums possible. At Cosmetic & Family Dentistry, your dentist uses traditional orthodontics and innovative Invisalign aligners for great results. The American Association of Orthodontists says that children should be evaluated for braces by the age of seven to understand how the position and function of teeth, gums and jaw bone are developing. Early intervention can utilize the flexibility of the young teeth and jaw to guide teeth into better positions. This concept is called early interceptive orthodontics. Also, the dentist and her team take digital X-rays, impressions, and other imaging to formulate excellent care plans. At Cosmetic & Family Dentistry, the team offers metal bracket and wire braces and Invisalign clear aligners in Weatherford. Typically, children receive metal braces. Older teens and adults may qualify for innovative Invisalign aligners which are practically invisible and fully removable. Traditional treatment takes an average of two years and corrects most any kind of orthodontic issue. Invisalign works for mild to moderate cases and takes less time–approximately one year to 15 months. With each kind of braces, patients check in with Dr. Romack every four to six weeks. Plus, all orthodontic patients, regardless of what type of appliances they wear, must be conscientious about oral hygiene–brushing twice a day and flossing daily. Some patients use special floss for braces, interproximal brushes and water flossing devices to keep teeth clean and gum tissue healthy. Do Your or a Loved One Need Braces? If they do, the best place for orthodontics is Cosmetic & Family Dentistry. Dr. Romack is a member of the International Association of Orthodontics. Additionally, she instructs other dentists in the practice of orthodontics. So, you can trust her expertise for your treatment plan. Why not contact Cosmetic & Family Dentistry today for a convenient consultation appointment? Ask about our $300 off special. A better-looking, healthier smile can be in your future. by: tntadmin at March 14, 2017 . Comments Off on What Are My Options For Braces In Weatherford?